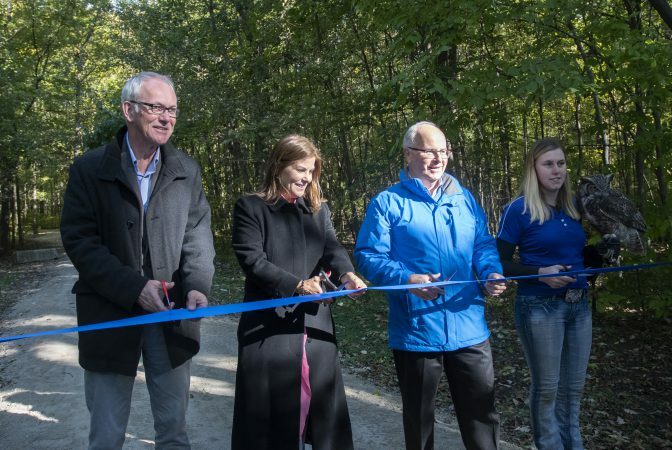 Windsor – Dozens of students and neighbours gathered today to celebrate the grand opening of the Caesars Windsor Nature Trail at Devonwood Conservation Area. Thanks to a donation from Caesars Windsor Cares, the 4.5 kilometre trail has been completely resurfaced to improve safety, accessibility and natural connections at Windsor’s only Conservation Area. 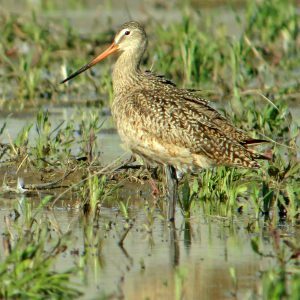 The contribution is a major boost to the Essex Region Conservation Foundation’s $1 million Place for Life campaign. Located on Division Road just north of Cabana, it is believed that no other forest in Canada supports a greater diversity of oak trees. Students from Roseland Public School were treated to a nature walk along the new trails to learn about the eight different species of oak trees and the owl habitat that Devonwood provides. ‘Take Me Outside Day’ was also recognized. 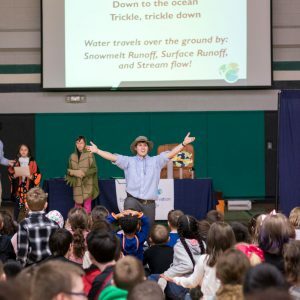 Across Canada kids are encouraged to get outdoors and into nature, and the improvements at Devonwood make this easier for the students at the four elementary schools within a 4 kilometre radius. In addition to the overhauled trails, benches have been rebuilt, the parking lot improved and a light added. Since 1973, Essex Region Conservation has been enriching and sustaining the Windsor-Essex County-Pelee Island region as the Place for Life.